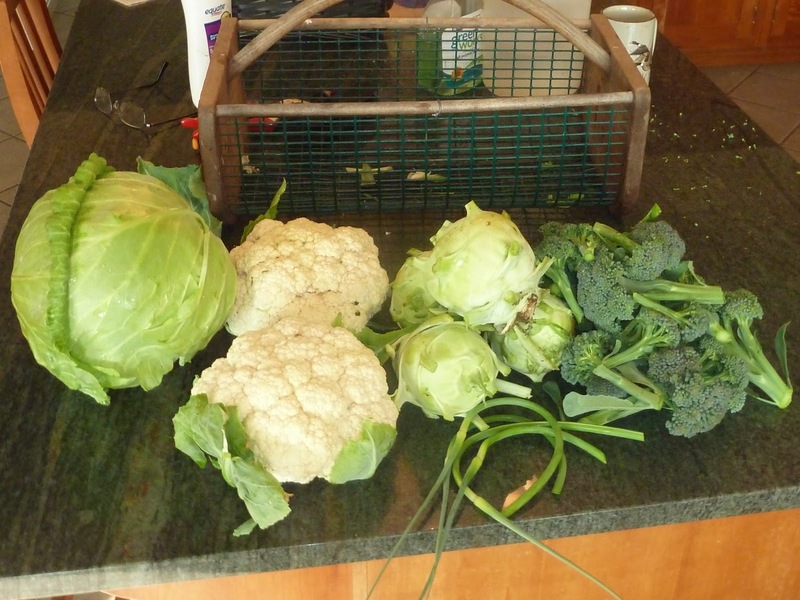 Just thought I would update the blog I posted on April 30 about planting brassicas and lettuce. I started harvesting the central heads of my Packman broccoli on May 10. The row cover I placed over the plants really worked. This past Tuesday I returned home to find that my Snow Crown cauliflower had matured as had my Golden Acre cabbage and my Early White Vienna kohlrabi. My extended family has really been enjoying lots of free brassicas. The picture below shows the day’s harvest. Oh, and I forgot to mention that my first garlic scapes were harvested. I’m looking forward to sauting them in some olive oil. Beautiful produce Kent. It's never easy to get cauliflower and broccoli to head up properly in spring- especially with our 30 degree tem swings! Just goes to show what planning, timing, skill, and a little luck can do! !